This set of 9 Ladybug Chocolates arrives beautifully packaged in a red boutique box finished with a delicate letter-pressed card. To make them, we hand-paint 62% Dark chocolate shells filled with colored cocoa butter, each one unique, and fill them with a delectable dark Valrhona 64% chocolate ganache and a hint of Singing Dog vanilla sourced from Indonesian farmers. Also called Lovebugs, these adorable critters are considered lucky and are said to bring good fortune! On a visit in January, my cousin from Philadelphia brought me a box of Ladybugs. The presentation was so cute and the chocolate was delicious! I went online and ordered two boxes each of Ladybugs and Bees for Valentine gifts! 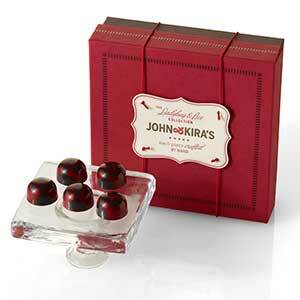 Each person raved on the hand painted candies and the caramels are just as yummy as the chocolate. 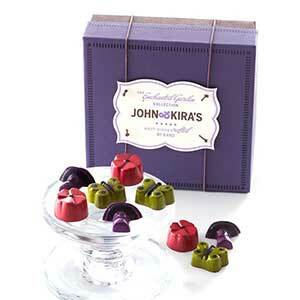 I recommend johnandkiras as a great gift idea for someone special! (That includes you)! My sister-in-law knows I love ladybugs and have them as a design feature in many places. 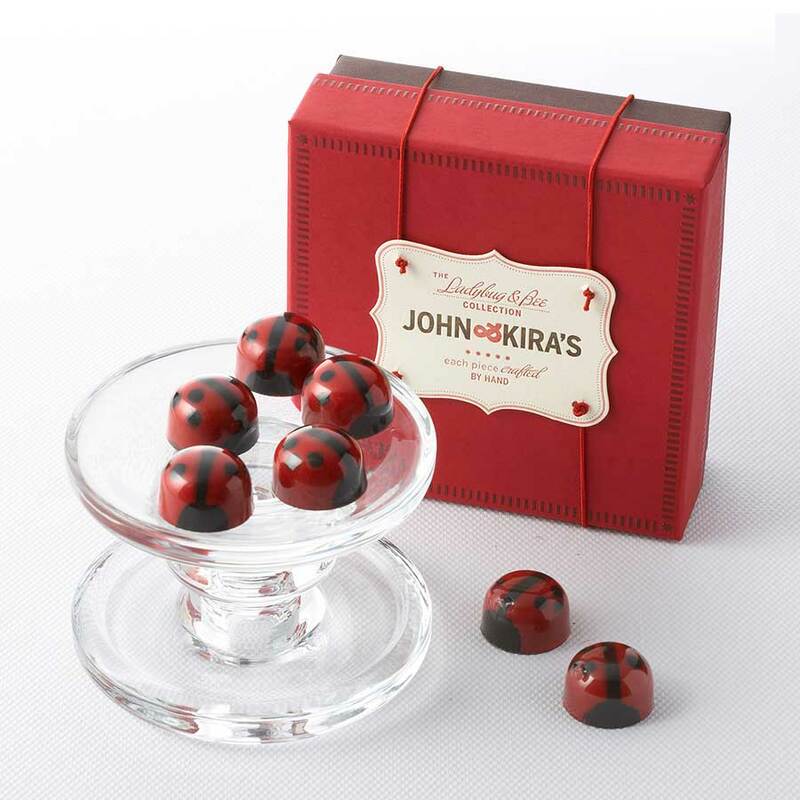 She sent me my first box of the chocolate ganache lady bugs and it was love at first bite (even though they are almost too cute to eat). 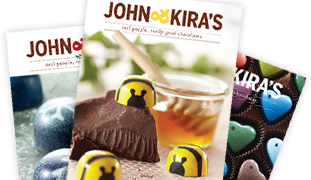 Now I love the bees, as well (all J&K chocolates are delicious) but I highly recommend the adorable and delicious ladybugs. 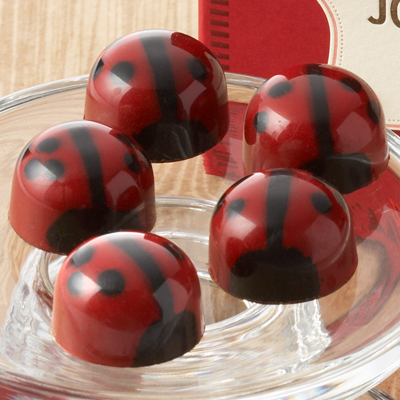 The red ganache ladybugs are some of the best chocolate I've ever tasted. The hand painted outer layer just sets it off in style! I received this as a gift and I absolutely loved them. Not only were they adorable looking but tasted out of this world. I am a chocolate snob and LOVED these. It was a perfect gift to receive after having a baby! A true treat.